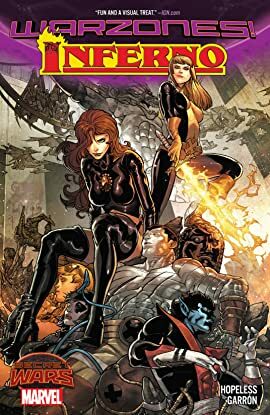 Spinning out of SECRET WARS comes a new twist on the X-Men classic that's a whole hell of a lot hotter than you remember. Five years ago, a band of demons rose up out of the fiery depths and turned Manhattan into Hell on Earth. The X-Men fought to vanquish the demon horde...and the X-Men failed. Now, on the anniversary of Manhattan's fall, Colossus is leading a small band of mutants back into the Inferno. He doesn't know what they'll find in its flames, but he knows they're not coming back without his sister. 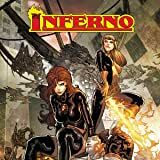 But Inferno's demons quickly divide his skeleton-crew X-team, and the arrival of Mr. Sinister and the Goblin Queen means Colossus' quest may have become a suicide mission! The gates burst open and Hell breaks loose as Illyana Rasputin's soul hangs in the balance!